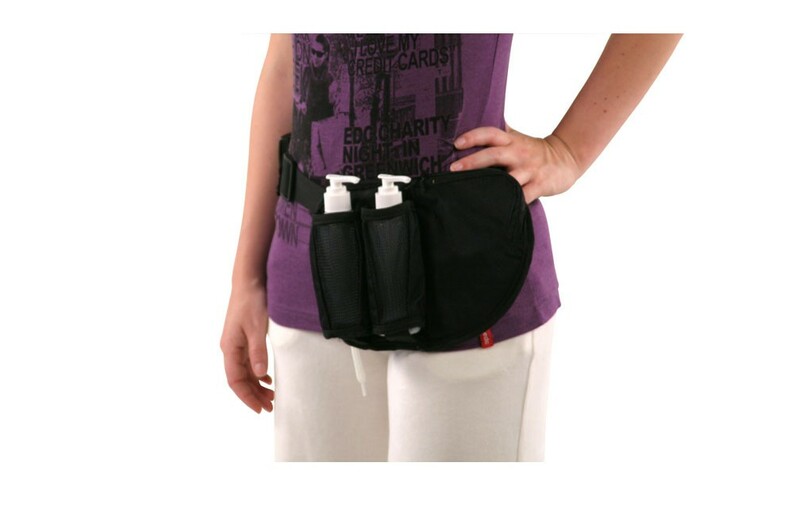 Our Bottle Holsters fit comfortably around your waist while they keep your massage oils, lotions, and creams close at hand. The machine-washable holsters are made of heavy-duty nylon and come with bonus refillable pump bottles. A must for every bodyworker! 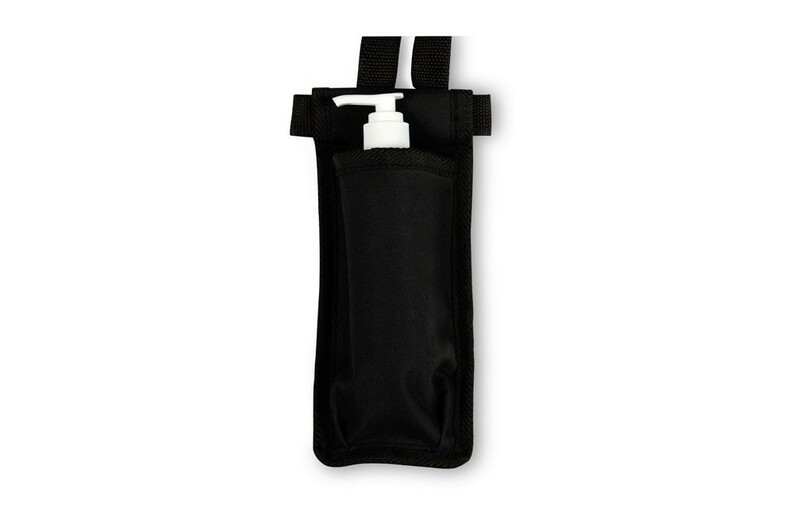 Have your massage oils, lotions, and creams close by at all times with our convenient Bottle Holsters. Choose from either the single version or double version. The single version can snugly fit one 8 oz. bottle in its covered pocket, has an adjustable strap that fits comfortably around your waist, and comes with a bonus refillable pump bottle. The double version can fit two 8 oz. 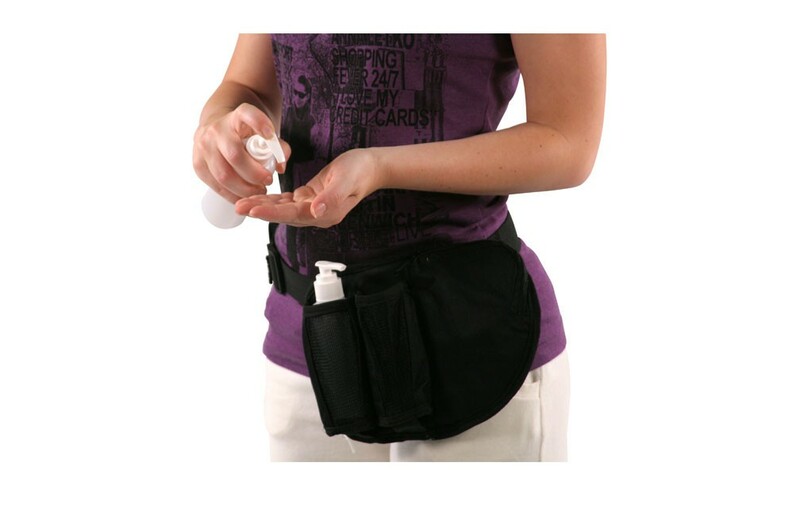 bottles in its mesh pockets, has an adjustable strap that fits comfortably around your waist, has a convenient zippered compartment to keep other massage supplies close at hand, and comes with two bonus refillable pump bottles. Both holsters are made of heavy-duty nylon and are machine washable.